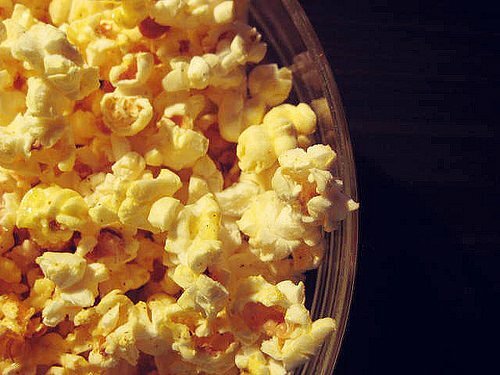 Popcorn is one of the most popular snacks in the world for a reason. 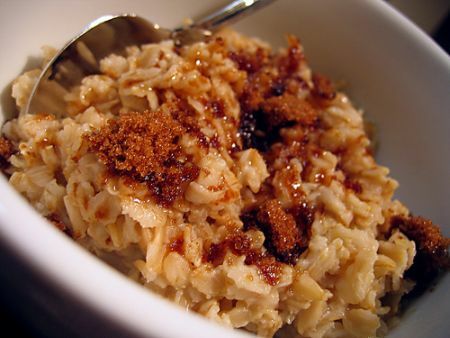 It’s tasty, easy to prepare, and surprisingly healthy! Popcorn is a quintessential part of movie night. It can be used as toppings for sweet treats too! Because popcorn is sold in small packets, you can store several packs of this beloved snack for future snacking! But what about its storage life? Can popcorn go bad? Popcorn will keep for a long time because there is minimal moisture within the hulls. Still, popcorn isn’t impervious to spoilage at all. This is the reason why proper storage is a must if you have several packs of popcorn in your hands. Yes, at some point, popcorn could go bad. Usually, the cause of spoilage is exposure to moisture, mold growth, and staleness. Exposing the product in direct heat could either cause the popcorn to pop prematurely or degrade the hulls. Popcorn is usually sold in popped and un-popped form and their respective shelf life differs. Un-popped popcorn has a longer shelf life because the hulls provide an ideal environment to preserve the product. Popped popcorn is usually flavored and exposed to the air often. It’s the kind of product that’s best consumed as soon as possible. It’s quite hard to tell if un-popped popcorn is no longer safe to eat unless there is the presence of mold. You see, stale popcorn looks no different than fresh popcorn. But if the un-popped popcorn is giving off a waxy, moldy odor, it is no longer safe to eat. As for popped popcorn, there will be slight taste and texture changes when the product is no longer safe to eat. Check for presence of mold. 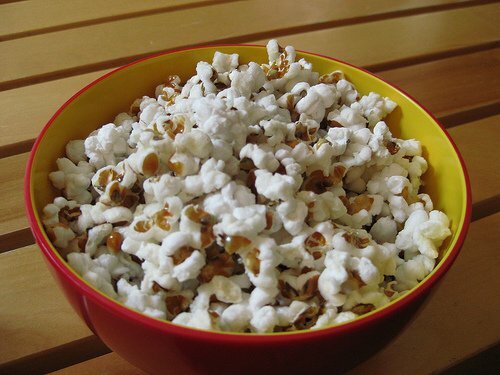 If there are flecks of greenish blue all over the popped popcorn, discard the product. The best way to store popped and un-popped popcorn is in the pantry. For unopened packs of popcorn, no added prep is needed. The original packaging provides enough protection against the elements. But for opened packs of popcorn, keep the packaging sealed after every use. Minimize air and moisture exposure as much as possible. Keep the product in a cool, dry place away from sources of heat. Never store the popcorn in humid environments. This will accelerate staleness and encourage mold growth. When kept in the pantry, sealed, un-popped popcorn will keep for 6 to 8 months. Popped popcorn will keep in the pantry for a month or so. Exposure to moisture could keep the hulls from popping once exposed to extreme heat. This means freezing is not an ideal storage method for popcorn because there’s a good chance of moisture exposure once the product has been thawed. Popcorn doesn’t require refrigeration and freezing because it has a long shelf life. Popcorn makes movie night even more fun so it’s good to know that this snack will keep in the pantry for a long time! Can popcorn go bad? Yes, it can go bad when it is stored improperly but keep these storage tips in mind and we’re sure you’ll get the most out of your supply! The question of whether flour ever goes bad or not is one that every aspiring baker asks at least once in their lifetime. And it’s a tricky one. I mean, unless you get your flour directly from a mill, it comes with a date on the label, right? But at the same time, the powder usually doesn’t change at all for months or even years past that date. So it’s perfectly reasonable to seek more info about going bad of flour. Or maybe you’ve read somewhere that you should store your flour in the fridge, or even in the freezer. But your family has stored it the pantry or kitchen for as long as you can remember, and it was quite alright. Will switching to freezing or refrigeration make your baked goods better? Or move the flavor needle at all? Even though flour seems to be a “simple” powder, there are quite a lot of questions about it out there. And besides the ones I already raised, there are tons of questions about different types of flour, and if they are any special or not. This article aims to cover most of these question in a (fairly) concise manner. But before we begin, I wanted to let you know that below I won’t cover nut flours, such as coconut flour and almond flour. They’re a different beast and deserve their own articles. Can Flour Go Bad? How To Tell If Flour Has Gone Bad? Flour sure can go bad in a way it’s unsafe to eat. All it takes is to allow some water in the package, or anywhere near, and there will be large clumps and possibly mold within a few days. If you see either, throw the product out. Flour also attracts pantry bugs, so if you find any living ones or corpses in the package, it’s time for it to go. That’s about it when it comes to standard ways of going off that apply to pretty much all kinds of flour. Besides that, whole-grain flour can go rancid. Whole grain means the powder contains all three parts of the grain: the endosperm, bran, and germ ([WIKI2]). Bran and germ contain some fat, and as you probably know, fat is prone to rancidification. So if your whole grain flour has started to stink or has taken on a rancid-like smell, get rid of it. You almost certainly won’t get sick from eating baked goods made with stale whole grain flour, but it won’t taste as good as it usually does. Plus they can carry some of that smell. 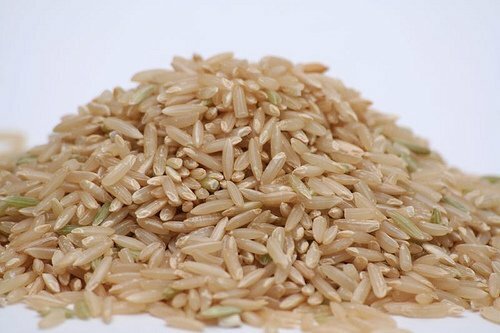 In case you were wondering, refined grains used in most flours use only the endosperm, so they are fat-free, and thus not in risk. If your not-whole-grain flour smells off, it probably picked up the smell from another product. Last but not least, let’s talk about self-rising (or self-raising) flour. It’s simply flour with chemical leavening agents ([WIKI1]). And leavening agents, such as baking powder, don’t retain potency forever. So if you store your self-raising flour for a couple of years, don’t be surprised that the baked goods don’t rise as well as they used to. Technically, that flour isn’t spoiled or harmful by any means, but it has lost one of its essential qualities. It’s up to you if you decide to keep it and use like “normal” flour or toss it out. Experts say flour generally lasts about six to eight months at room temperature ([FC]). That’s not that long, right? But you already know that it won’t go bad or anything past that period. It also comes with a best-by date on the label, which informs you how long, at the very least, the product should be at its best quality. And it’s usually a similar period of about six to nine months. Does that mean the quality of flour starts to deteriorate quickly after that period? Well, I don’t have any scientific research or credible sources besides years of my and my mom’s experience, but I’d say no. I’ve used flour that’s anywhere between a month to over a year “old” with great success. Granted, I’m not the greatest baker out there and cook mostly for myself and my family, but I never had the experience of anyone saying “hey, you must have used old flour!”. Neither did I ever notice that the cakes, pancakes, or muffins tasted somewhat off because of the flour. I’m quite sure you feel the same. So I’m going out on a limb here and say that you can easily use out-of-date powder, even if it’s over a year past that date. With some caveats, of course. First, whole-grain flour. As you already know, it can go rancid. So if you’re about to use one that’s half a year past its date to bake a cake for an important occasion, think twice. Even if it smells okay (that is, hardly at all), use it for some stress-free weekend baking that’s okay if it doesn’t turn out perfect. Second, self-rising flour. If it’s very old (like a year past the date), and you didn’t use it lately, it’s difficult to say if it’s still potent. To check that, try using it in a recipe where the potency of the leavening agent isn’t that important, e.g., in pancakes. If those pancakes turn out somewhat flat, that’s usually not that big of a deal. 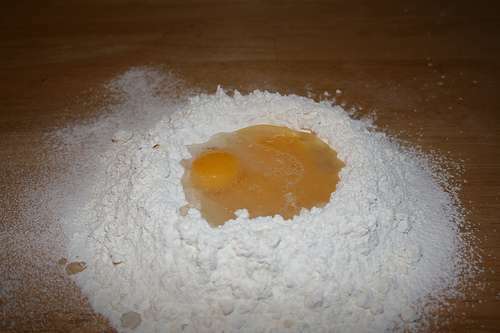 But that will give you some knowledge about how well that flour raises and if you need to add some baking powder to make things work or not. Knowing all that, let’s talk a bit about storage of flour and all that jazz about refrigerating and freezing it. Let’s start with the basics. No matter if it’s gluten-free, whole-grain, bread, all-purpose, or any other flour, you need to protect it from water and bugs. The easiest way to do that is to make sure it’s always sealed tightly. 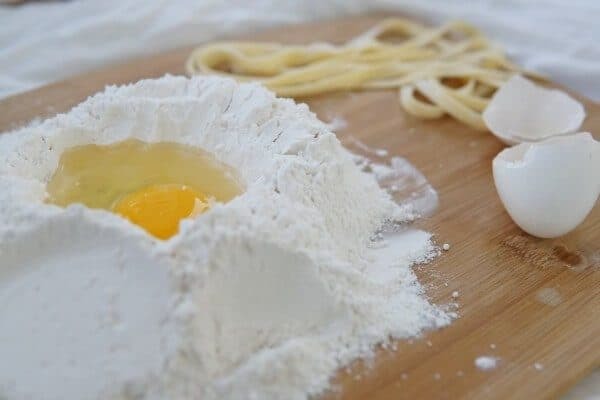 In most cases, the flour comes in a paper bag, and if it sits in a place that’s safe from moisture and bugs, it’s good enough to use long term. Just roll down the top after each use, and that’s it. If you want to up your flour-storage game, transfer the powder into an airtight container. You can buy a fancy-looking dedicated one, or reuse a container that you got with another food product, e.g., cornstarch. Such container keeps the moisture and bugs away. Generally, airtight canisters and containers are recommended for flour storage ([FC]). But truth be told, I never used one and never had any issues with water or insects, so it largely depends on how safe from these your storage spot is. 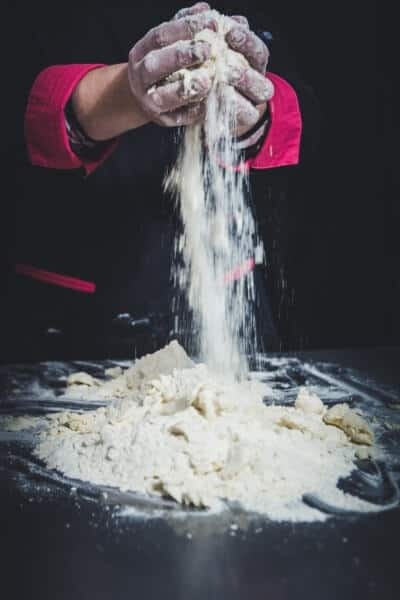 When it comes to long term storage, that is storing flour past the date on the label, many places recommend refrigerating, or even freezing the powder ([FC]). And such measures will definitely help retain better quality over time. But honestly, have you ever seen anyone who refrigerates or freezes flour? Me neither. For most of us, fridge and freezer space come at a premium, and we don’t want to waste it on storing powder that keeps well at room temperature. So I’d say it’s not worth it to chill the flour in the fridge or freezer. But if you want to test it out, be my guess. Just make sure you transfer the powder in an airtight container that’s moistureproof so the product won’t absorb any moisture from the environment.